Meet Kazuki Yamamoto. He's a latte artist. You've probably seen the work of latte artists before and how they can draw things like hearts or leaves in steamed milk. But you've probably never seen anything like this. 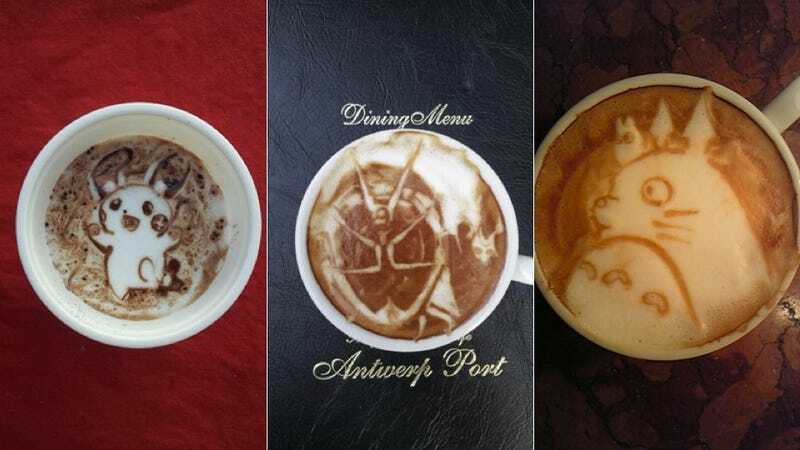 Yamamoto draws anime, manga, and video game characters in latte—as well as celebrities and animals. Whether it's Pokémon or Ringo Starr, Yamamoto can bring them to life in hot, delicious, and milky coffee. Keep your eye out for a three dimensional latte recreation of Nyanko-sensei from Japanese manga Natsume's Book of Friends. Currently in Osaka, Yamamoto pops up at coffee events around the city and in nearby Kobe. He one day dreams of opening his own cafe in Tokyo. You might one day dream of ordering a serving of Yamamoto's latte art. Have a look at his work from his Twitter feed. Yamamoto does regular latte art updates, so if you like his creations, he's definitely worth following.